Converts Web pages into editable inDesign layouts. Is there a better alternative to FramedWeb? Is FramedWeb really the best app in Author Tools category? Will FramedWeb work good on macOS 10.13.4? FramedWeb helps you convert Web pages into editable InDesign layouts. You can give FramedWeb a URL, and it will attempt to build a corresponding InDesign layout. 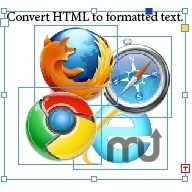 You can also copy-paste HTML text into a text frame and then use FramedWeb to convert it to formatted text. Fixed issue where 'nested' tags caused a problem. FramedWeb needs a rating. Be the first to rate this app and get the discussion started!